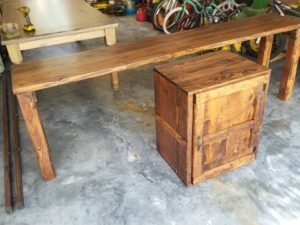 This rustic distressed honey desk is made of solid wood throughout 100% and is brand new, just made here in N Naples. It’s 8ft long, and 16” deep. The shelf door storage box is 2 feet long which leaves 3 feet of working space for one person on either side of the storage box. The box has a magnetic door closing catch and is an optional free standing piece which slides perfectly under the console desk and it can or cannot be fastened to the desk top. The console table is sealed with an all natural clear varnish to protect it for life. 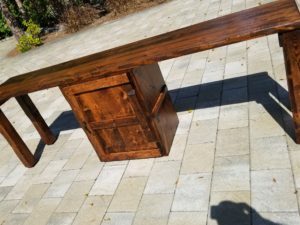 This is a very solid desk which will last for over a lifetime. 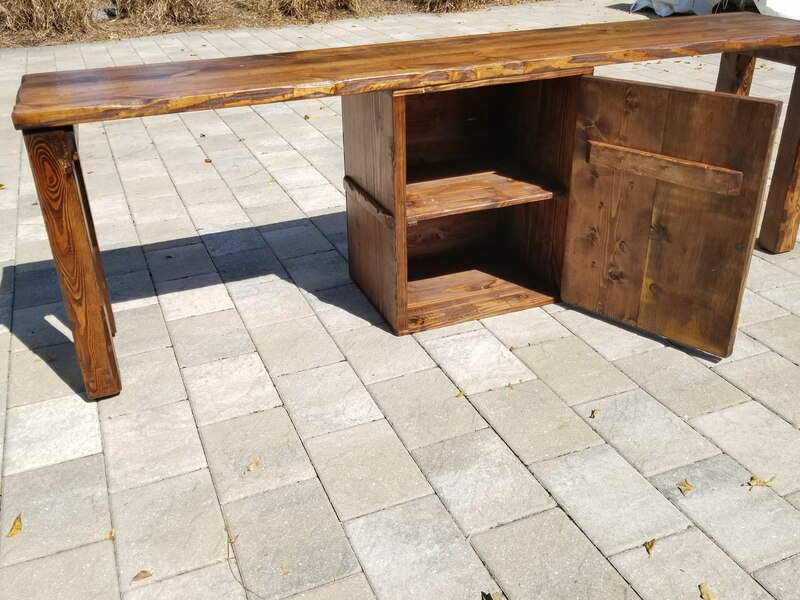 The desk can be used as a living room/couch table, entry way table or buffet table, or a kids study desk or master work desk. Antique Ladder Made with Iowa Reclaimed Barn Wood from the 1940’s – one of a kind decoration accent piece!